Perhaps the most obvious piece of the Code is the mandate to shut down aggressive play on offense while holding a big lead late in the game. But what about pitching? 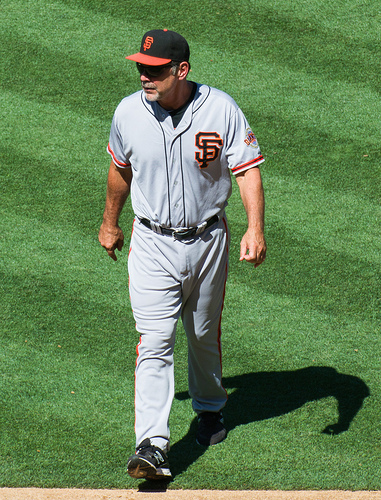 On Wednesday, Bruce Bochy went to his bullpen three times—going righty-lefty-righty with Guillermo Mota, Javier Lopez and Sergio Romo—to face four batters in the ninth inning against the Rockies. The Giants led 8-3. There’s no indication that the Rockies were annoyed by such tactics, and perhaps they shouldn’t have been. However, were manager Jim Tracy the type to get rankled over a stolen base by a team holding a five-run, ninth inning lead, it only stands to follow that this might get under his skin, as well.